POINT BREAK OFFICIALLY OPENS ON DECEMBER 24th WORLDWIDE BUT IF IT DOESN'T CLICK HERE TO FIND OUT WHEN IT OPENS NEAR YOU. So Point Break, a movie I still have a pretty good memory of when I saw it way back in the early 90’s. The original which came out in 1991 starred Patrick Swayze, Keanu Reeves and Gary Busey before he became known as everyone’s favourite crazy actor guy. Directed by Kathryn Bigelow it only cost USD$24 million to make but made USD$83.5 million at the box office. The movie is so good that it’s actually got a cult following. The title is a surfing term where a wave breaks as it hits a point of land jutting out from the coastline. The 1991 film has Keanu Reeves play Johnny Utah and Gary Busey as Angelo Pappas who is on the trail of a bunch of bank robbers known as the ex-presidents because they rob banks wearing rubber masks with faces of past American presidents. Pappas suspects these robbers come from a community of surfers so he enlist rookie FBI Agent Utah to go undercover and try to find out who these surfers/robbers are. Utah eventually does find out but along the way he gets a little too close to them and finds himself drawn to their de facto leader Bodhi. He also finds out that these bank robbers have a different reason for robbing banks, they’re not in it for the money. Along the way there’s lots of surfing scenes, chase scenes, shootouts, jumping out of airplanes without a parachute and of course the final iconic scene where instead of capturing Bodhi, Utah lets him take off on a surf board to catch the biggest wave he can find during an event called the “50 year storm”. It’s a suicide ride. Utah watches him die then turns around and walks away throwing away his FBI badge. Point Break was directed by the then wife of James Cameron who’s done some remarkable work but I don’t think any of them has accumulated the cult following that this one has and sort of introduced the world to Keanu Reeves as a legit action star in my opinion. I loved the original Point Break. So this new one has most of the same names, there’s Johhny Utah, Angelo Pappas, Bodhi and his buddies Roach and Grommet though the rest are pretty new. The main new ones being Delroy Lindo as Johhny Utah’s, played by Australian actor Luke Bracey, who is his Intructor at the FBI Academy and Teresa Palmer who plays Samsara one of Bodhi’s insiders and the person that Utah gets intimate with. Samsara replaces the character Tyler Endicott in the original in more ways than one. In this one Johnny Utah is not an ex-college football who gave up his sport because of an injury but a motocross rider who left his sport because of a tragedy. 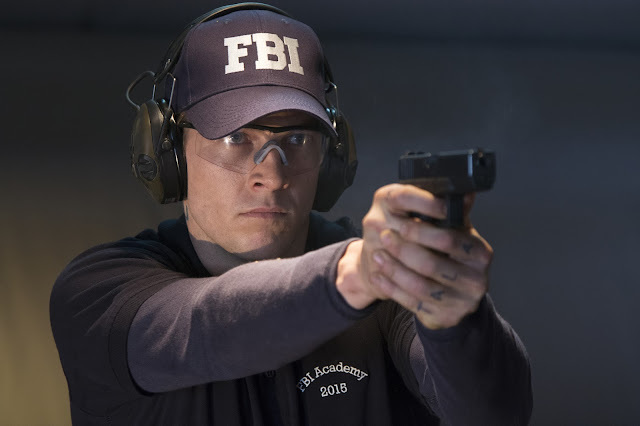 He joins the FBI for some discipline and order in his life. Bodhi and gang are still liberating riches but not from just banks and their motives for doing them is still as a big middle finger to the powers that be and this time there’s an eco-warrior twist to it too. There’s lots of X-Games type scenes and even cameos from famous folk from their respective sports. I recognized legendary surfer Laird Hamilton who also worked on the original 1991 film becoming the only person from the original film to be in this new one, ESPN X-Games host Sal Masakela, Base Jumper and Wingsuit pilot Jeb Corliss and DJ Steve Aoki. There’s some reference to a search for something deeper in life but this time it involves something called the Ozaki 8 which is a series of 8 trials against the forces of nature imagined by a man named Ozaki Ono who died after only managing to attempt 3. The Ozaki 8 are trials of man against nature and a way to honour nature as well but as the trials are seen as taking something from nature something must be returned. Bodhi and his mates pay back nature by returning what’s taken from the world back to the world. That’s pretty much some of the similarities even though it’s mostly on the surface and yes there is that final iconic scene where Bodhi begs Utah to let him ride a huge wave but that’s all. And it doesn’t have the same impact. 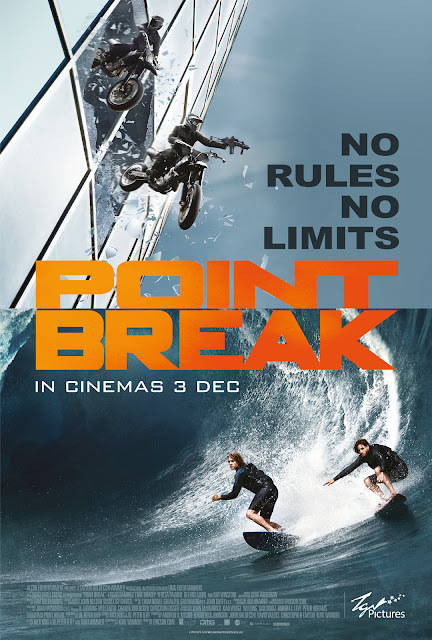 So what did I think of this new Point Break? First of all if you’re a fan of the original this won’t change your mind much, it might even make you like the original even more. 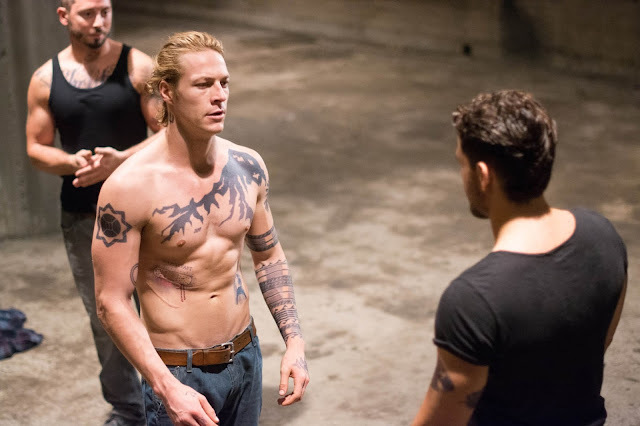 This new Point Break directed by Ericson Core and written by Kurt Wimmer has been given the polish and shine that fans of films like the Fast and Furious series would expect. Lots of good looking guys and of course girl, scenes where the lead men look brooding and show of their clenched jaws while doing macho stuff, fancy camera work to show off the macho stuff they’re doing and of course a couple of party scenes with girl in as little clothing as possible gyrating. And when it comes to doing macho manly stuff while pursuing the trials laid out by the legend that is Ozaki Ono there’s quite a bit. In the original Johnny Utah mostly had to deal with surfing the only other extreme sport he had to participate in being the skydiving episode which turned out to be something not even he expected in his craziest dreams. 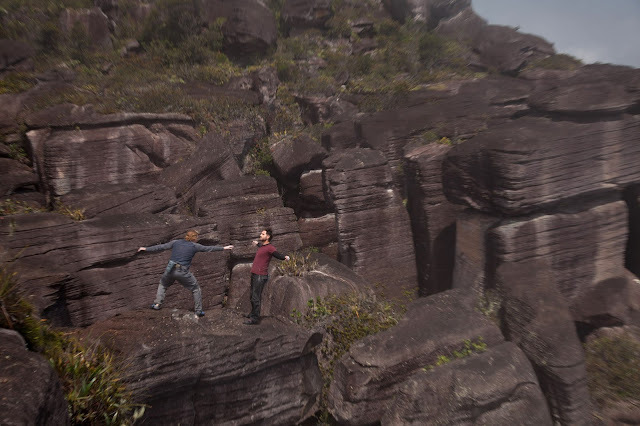 In this new one there’s surfing, motocross, snowboarding, base-jumping which leads to a spot of wingsuit piloting and of course rock climbing without ropes. The result of all this extreme sports being that the story which was what drove the original 1991 film taking a backseat somewhat. I’m not saying that the surfing wasn’t important in the first film but it wasn’t the entire focus of the film. The focus was on the two main characters. This new one tries to do the same but hardly matches up to what Bigelow and her team finally delivers. Bodhi played by Venezuelan actor Édgar Ramirez just doesn’t have the same presence and charisma that Patrick Swayze had when he played Bodhi. Also the new Bodhi is always serious and brooding which was sort of dull after a while. I remember Swayze portraying the California surfer dude pretty well going from cool, to fun loving and when things got serious to being incredible intense and sinister too. The new Bodhi has just one setting. Luke Bracey on the other hand those a pretty decent job but doesn’t do anything special with his role. 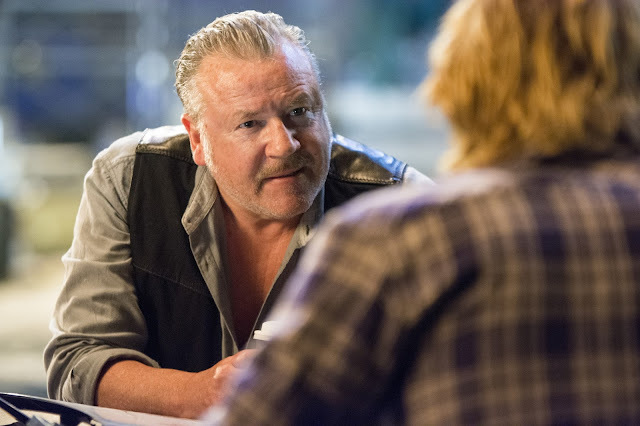 Ray Winstone who takes over Gary Busey’s role wasn’t too bad but he’s hardly on screen much as is Delroy Lindo. Honestly it’s a lot like watching any of the Fast and Furious films except that there’s no car and there’s this deeper meaning to it all when it comes to the what and why’s of what they do. Honestly speaking to me this film didn’t seem to me to be about remaking a cult favourite but is instead and excuse to string a bunch of extreme sport scenes together to impress the audience while trying to tell some sort of story. They could have come up with any old, tired, predictable and formulaic action movie premise and plots but that probably wouldn’t have impressed anyone so instead they take a title that still clearly has its fan base and try to see whether curiosity and some flashy camera work will bring in the crowds. Seeing as how the Fast and Furious has managed six sequels I’m sure this film will pull in some folk. This film is like if the original film was given a huge steroid dose, Bodhi and friends hit bigger and more valuable targets, the way they hit their targets is a lot more extreme (the original Bodhi and friends only hit banks and even then only robbed the tellers until the last one where Bodhi decides to hit the vault with dire consequences), the new Bodhi and friends has an Arab sponsor who help pay for some of their activities whereas the original crew had to do everything themselves and of course Bodhi only talked about riding that final big wave during the “50 year storm” whereas the new Bodhi searches for the ultimate through the Ozaki 8. And because of this overdose the story suffers quite a bit and it all becomes incredibly obvious right in the end during the final scene, to say Kurt Wimmer ran out of steam and ideas is giving him too much credit. What it seemed to me is that he had no idea how to finish it off and only had one instruction or idea and that was to finish it the same way the original had ended. Except in this one the ending is nowhere near as good or even decent. It’s a shameful attempt at even paying homage to that incredible scene between Swayze and Reeves. The problem with this remake probably lies somewhere between when the idea was conceived to make it and when the first draft of the script was delivered to the director and the producers, the feedback for the first draft probably included words like, “Maybe they could fly down a ravine!”, “Instead of having Bodhi accept Utah like in the first how about if we have them beat each other up first?”, “There should definitely be an off-the-hook party scene with a DJ man, like on a boat or something!” and “You’ve seen those wicked YouTube videos shot with GoPros? We should do that and more!” This movie suffers from too much flash with little to no substance. It would be fine if it had a few interesting characters like what Vin Diesel and his cast members did for the first Fast and Furious film which was enough to make audiences want more but in this one I don’t think it’ll have the same effect. The characters in this one just has little substance to them and with such a weak script the film just suffers all the more. All in all this film does not live up to the original in any way and even when judged on its own merits as a new action movie it falls short. There’s just too much emphasis on the flash, on the extreme sports angle and when Bodhi tries to rationalize their attempt of the Ozaki 8 as a search for something more, something greater it sounds flaky, silly and not at all cool like what Patrick Swayze’s Bodhi was looking for. For those of you who have seen the original, you should only watch this film if you are extremely curious. For those who haven’t seen the original maybe this will be entertaining, the extreme sports scenes are pretty good. In fact, visually the movie does look good the flaw in this movie is the whole story which has really taken a backseat to everything else. So I’m going to give this new Point Break a less than decent 2.5 out of 5. It’s an extreme sports montage film with a weak story to link the different X-Games scene together. As an action movie if you’re a fan of films like the Fast and Furious series and the like then you might find this entertaining. If you’re a fan of extreme sports you might find this amusing. If you’re a fan of a good story, characters and good performances by the leads then this will not be much fun for you. Of course it’s possible I don’t know what I’m talking about, so here’s the trailer for you to check out. POINT BREAK IS DISTRIBUTED IN MALAYSIA BY TGV PICTURES SO BE SURE TO HEAD ON OVER TO TGV.COM.MY TO GET YOUR TICKETS. The Director, Cast and the Professionals talk about how everything is bigger and more extreme than the original. We take a look at how the team shot the surfing scenes. 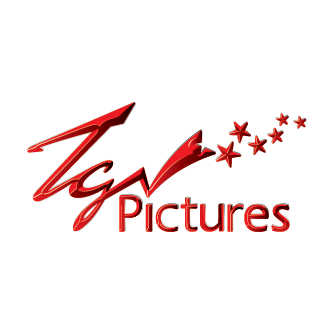 Meet the team that shot the Wingsuit scenes and how they did it. And how they shot the opening motocross scene.